Today we have an special valentine treat by Larissa. Can you believe she made those cute strawberry shaped cookies?! 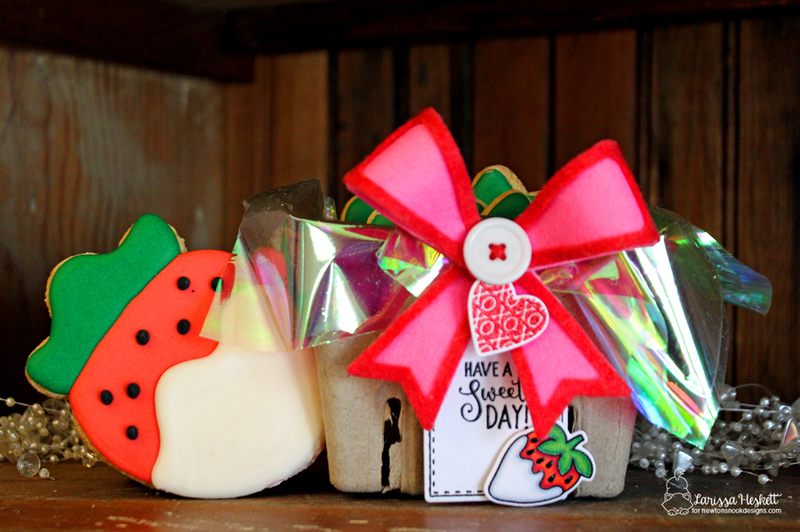 They look just like the chocolate covered strawberries in our Love & Chocolate stamp set so she used that stamp set to create an adorable cookie holder and tag! 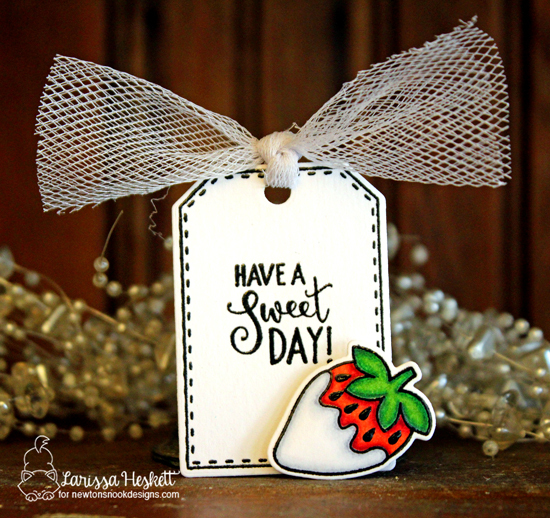 For the tag she used the tag stamp with the stitched border from the Tag Sampler stamp set and added the "Have a Sweet Day" sentiment from the Party Pops stamp set! Then, of course she added on the chocolate covered strawberry from the Love & Chocolate stamp set and trimmed it out with the coordinating Love & Chocolate Die Set. So cute!! She added the tag onto her cookie box with a bow and the xoxo heart from the Darling Duos stamp set too! What a fun an unique way to tell someone they are sweet this Valentines day! To say hello to Larissa and see more of her beautiful cards, pop over to her blog, Larissa Heskett Designs. Love love love! Amazing treat! Those are stunning! Love them!